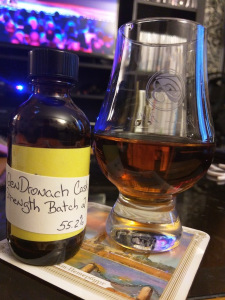 Thanks to /u/LetThereBeR0ck for this sample. Recently realized that some of my stats were off, in that I had written down GlenDronach as a Speyside, yet everywhere I read has it as a Highland. Oh well. We all make mistakes. And to learn from them and use them to crush your enemies beneath your heels, enjoying the lamentations of their men and women, and generally enjoying all the pudding cups you can. Cause there’s always room for pudding. 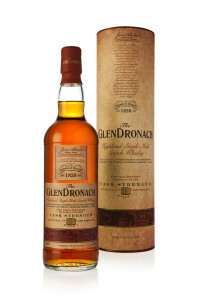 GlenDronach Cask Strength Batch 2 is a non-age statement Scotch aged in PX and Oloroso casks, and bottled at cask strength. They’ve done this before, and this is the second batch. Maybe it’s better? Maybe they made mistakes too? And maybe GlenDronach will conquer us all, and have all the other pudding. Let’s see how it tastes, and if we should be worried. Because I’m almost out of pudding.